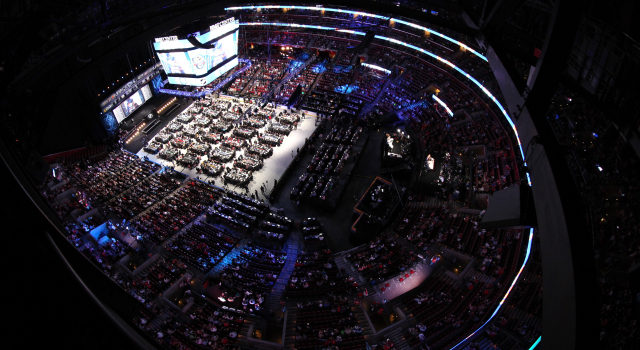 As it currently stands, the Los Angeles Kings have seven selections at the upcoming NHL Draft, which will be held June 23-24 at the United Center in Chicago. Those selections are the 11th, 41st, 72nd, 103rd, 134th, 165th and 169th picks. Though it’s not particularly important, it is interesting in some reflexive context. What have Los Angeles and other teams done with those draft slots in the past? The Kings have never selected 41st overall. In other words, it’s like virtually any other NHL Draft. You pick 11th overall, you’re probably going to find a useful player. Of the Kings’ other 13 selections, there’s a two-time Stanley Cup champion who will eventually have his jersey retired by the team, and quite a few tumbleweeds elsewhere. Elsewhere: It’s Spencer Watson, Jacob Moverare and Mississauga against Alex DeBrincat, Ryan Strome and Erie duking it out for the J. Ross Robertson Cup, following the Steelheads’ four-game sweep of the Peterborough Petes and the Otters’ six-game series win over the Owen Sound Attack. Watson has 14 goals, 22 points and a plus-16 rating in 15 games as a forward, while Moverare has two goals, seven points and a plus-17 rating in 15 games as a defenseman. That series gets underway Thursday in Erie. | Battling for the Ed Chynoweth Cup will be Regina and Seattle. The Pats’ Austin Wagner has 14 goals – including three shorthanders and two game-winners – 18 points and a +15 rating in 16 playoff games. This should be an awfully good exhibition of talent, given Regina’s offensive bent, which is also generated by Toronto draft pick and master string-puller Adam Brooks (who is dealing with a knee injury) and Anaheim first rounder Sam Steel in addition to Wagner, and Seattle’s balance and experience, led by New York Islanders first rounder Matthew Barzal, Edmonton-inked defenseman Ethan Bear, and Head Coach Steve Konowalchuk. The Pats are making their first trip to the Final since 1984, while the Thunderbirds were defeated in five games by the Brandon Wheat Kings in the Final last spring. | More Seattle hockey news: NHL and NBA executives favor a KeyArena renovation, and AEG is among the companies to submit a bid to do so. There’s quite a bit of detail on AEG’s plans, as reported by Chris Daniels of KING-5. KeyArena last hosted hockey in the first half of the 2008-09 season, following the Thunderbirds’ run of over 20 years in the Lower Queen Anne neighborhood, but the current sight lines in the arena, which was last renovated heavily in 1995, are designed specifically for basketball. | L.A. received the second-fewest goals from players on their entry-level contracts, as Dimitri Filipovic noted. | The Kings donated $150,000 towards the construction of an El Segundo aquatics center that is expected to be completed next year. Bailey was there. | Capsules on those being considered for Buffalo’s open GM position, which includes Los Angeles AGM Michael Futa.